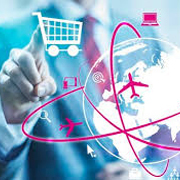 Entering the overseas market with your product or service is an exciting time for any business, providing you with the opportunity to make additional profits, increase the market size of your business and expand your customer network. Prior to entering the overseas market, there are multiple steps that you must take to ensure a smooth transition overseas. Step one is to ensure that you have conducted a product & company export capability assessment. Not all products or services can be exported in their current form. This webinar will provide you with information which will help you to determine if your company is capable of exporting overseas. We will discuss what is involved with conducting an export capability assessment for your business, as well as how to accurately identify any strengths and weaknesses within your organisational structure. Membership starts from as little as $48 a month. Join now and receive instant EAL support.